Browse our image gallery and discover the distinctive lifestyle here at Lakeview Towers at Belmar. Contact us today to schedule a tour.  Lakeview Towers at Belmar invites you to come tour our Lakewood apartments. Our luxurious apartments have amenities that make life comfortable and convenient. You can get a workout in at our fitness center that is stocked with free weights, weight machines and treadmills. Scroll through the pictures of our apartments for rent to see that our luxury community thrives on quality and class. Each apartment has its own climate control, 9' ceilings and walk-in closets. You can sleep easy knowing that our apartments have key fob entry and covered parking making your life a little more convenient. Schedule a tour to see our apartments for rent in Lakewood, CO.